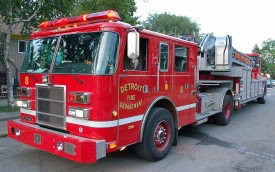 Apostle partners Denis Leary and Jim Serpico have come aboard as executive producers of Burn, a feature documentary about the city of Detroit seen through the eyes of its firefighters. The pair behind the FX firefighter drama Rescue Me have launched a campaign on the crowd-funding site Kickstarter to seek finishing financing for the docu, which centers on the struggle of the men and women charged with the task of saving a city many have written off. Burn will be co-directed by Tom Putnam and Brenna Sanchez and is targeting the 2012 festival season. “This film will help raise the public’s awareness to the work firefighters around the country do, as well as the sacrifices they make, particularly in these times of severe budget cuts,” Leary said. The filmmakers are offering products and experiences to entice Kickstarter donors, including a Boardwalk Empire set visit and an autographed helmet signed by the Rescue Me cast. So far, Burn has been funded via grants and donations from the likes of GM and Apple. A portion of the film’s proceeds will go to The Leary Firefighters Foundation to purchase equipment for the Detroit Fire Department.